MARTIN & MORAN PROPERTY ADVISORS are truly honoured to offer the market this exquisite two bedroom terraced family home spanning 88 sq m of luxury located at one of West Dublin's most accessible addresses. Built in 2006 Summerseat combines traditional building with high levels of spacious design to provide an exemplary home for comfortable living. The Summerseat development incorporates a mixture of residential units and is within walking distance of Clonee Village making it an excellent choice for owner-occupiers & investors alike. Set amidst landscaped grounds, walking / jogging paths and other features to enhance enjoyment and convenience for residents this property will intrigue the most discerning purchaser. 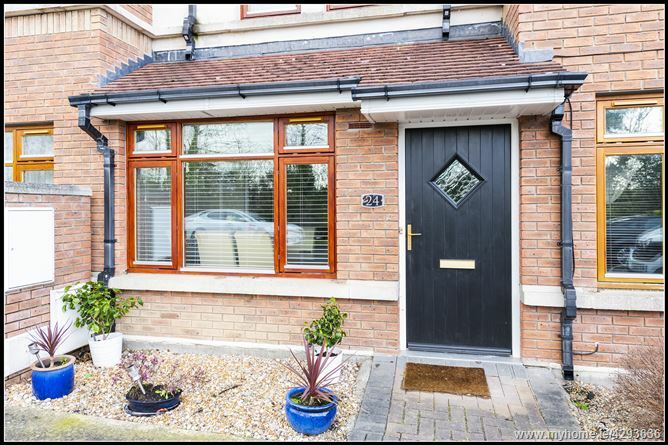 Summerseat is an elegant development in a sought after location that is surrounded by all the amenities that country living has to offer, while still benefiting from immediate access to the M50 & M3 Motorways. Clonee is a country village suburb of Dublin, located approximately 15 km north-west of the city centre. It provides extensive amentities and services including Blanchardstown Hospital & Blanchardstown Shopping Centre and is also home to the new Facebook site currently under construction. A number of bus services also pass through Clonee. Rarely does such a superior home come to the market in turnkey condition with ample living space and such privacy. 24 The Walk is sure to appeal to all those people looking for that something extra special in the most accessible location.